Cape Town - Western Cape police on Thursday said that they are offering a R60 000 reward for information that could lead to the arrest and successful prosecution of those responsible for the killing an elderly Cape Town couple last year. "The killing occurred along Wolmunster Road, Rosebank, Cape Town, on the 5th of May 2018," described police spokesperson, Captain FC Van Wyk. "The elderly couple, Rosalie Bloch (84) and Aubrey Jackson (95), were found tied and murdered in their home in Rosebank." He said that there were signs of a break-in into the home and a few items were missing. "Anyone with information that could assist the investigation is urged to contact the investigating officer, Detective Sergeant Kevin Kok on 064 352 5493 or Crime Stop on 08600 10111." There were 22 261 home robberies carried out over the 2017-2018 reporting year, according to a report released by the South African Police Service (SAPS) last year. It is actually a slight decrease from the 2016/17. The province with the most home invasions was Gauteng, which recorded 8 333 incidents over a 12-month period. 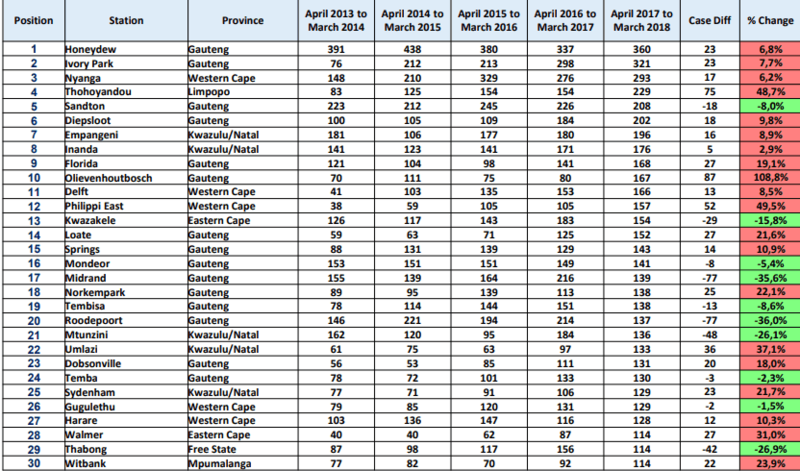 Predictably, the Northern Cape had the least amount of home robberies, recording just 159 cases.